Two Biofaction films, The Berrymakers and MYCOSYNVAC feat. MC Grease (da disease), were part of the 2018 edition of the Science Film Festival. The films were shown at multiple events in Asia and Africa reaching over 250.000 viewers! 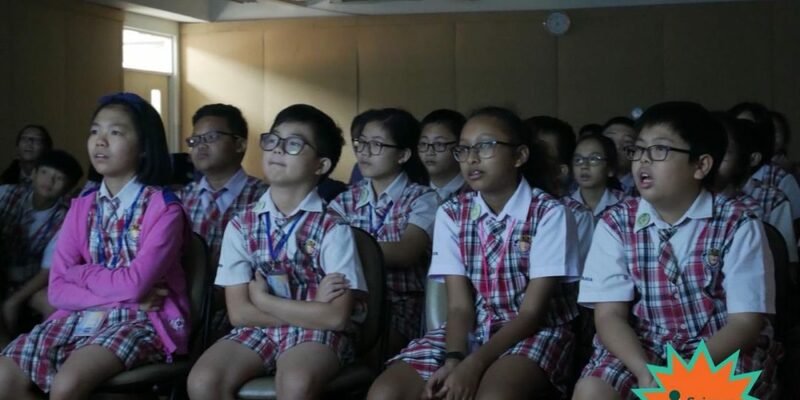 The majority of the viewers were between seven and sixteen years of age, as the festival promotes science literacy and awareness in education. This is realised by addressing scientific, technological and environmental issues in films and educational activities. And with success: 97% of the students said that the festival made them more interested in science! We were very happy with our participation. 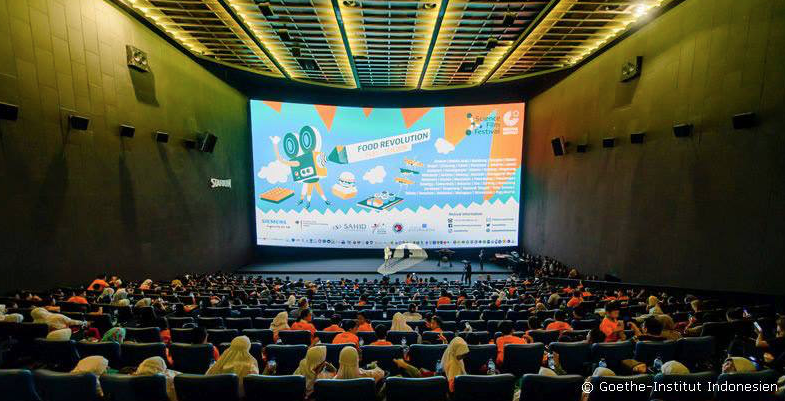 The Science Film Festival is organised by the Goethe institute and is screened in non-commercial settings such as museums, universities and schools. The photos are taken from the Festival’s Twitter (@ScienceFilmFest) and Facebook (@sciencefilmfestival) accounts. MYCOSYNVAC feat. MC Grease (da disease) is part of the H2020 MycoSynVac project. The music video introduces synthetic vaccine development in a playful manner. If you’d like to know more about MycoSynVac go here. The Berrymakers is a short documentary film and part of the FP7 BacHBerry project. The documentary discusses the search for valuable substances in plants that could be used in health care or other useful applications. For more info about BacHBerry please click here.